Any specific reason for this major delay @ BHUSAVAL (BSL) Junction. Dated. 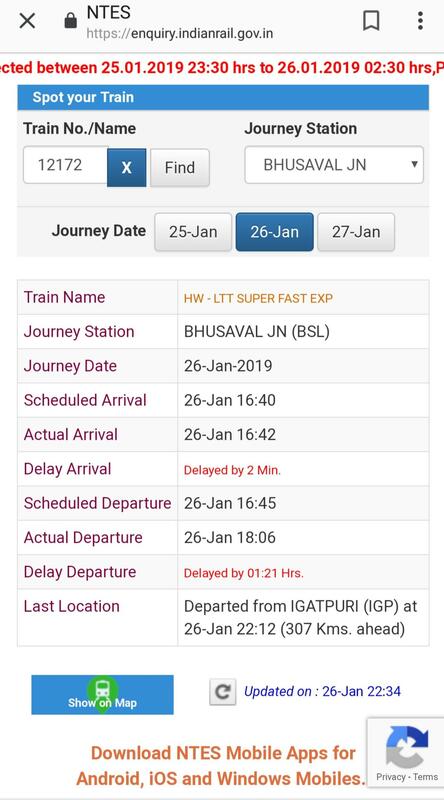 26-Jan-2019 2min delay from scheduled arrival & almost 1hr 26min delay scheduled departure.